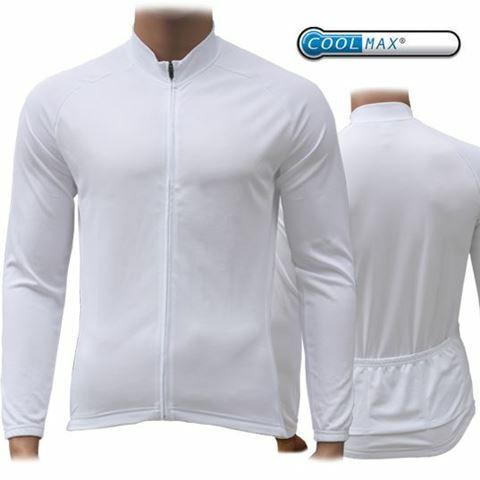 With the Long Sleeve Club Cut jersey great breathability and hard wearing come as standard. It comes with a silicon gripper at the hem, 3 rear pockets to stow supplies and elasticated cuffs. It has a choice of zips: our highly recomended full length hidden SBS zip, 3/4 invisible zip or 1/4 length visible zip. A choice of fabric is available with this cut: our Vapore fabric comes as standard or you can upgrade to the excelent Hexpore fabric. The cut has been designed for comfort and the sizes range from 4XS up to 5XL meaning there is the perfect fit for everyone.